Both cards are brand new in original box. 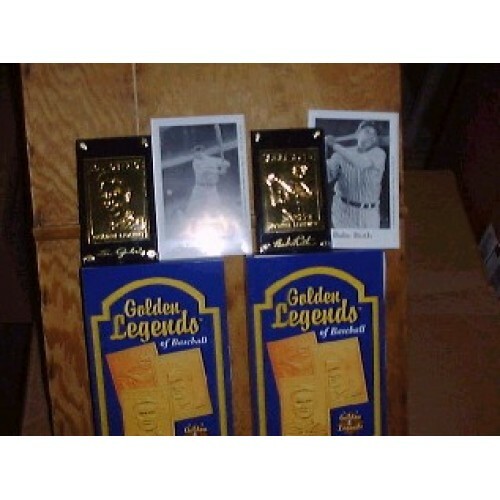 Produced in 1994, this set includes a 22-Karat Gold Foil Golden Legends card for both Babe Ruth and Lou Gehrig. Both cards come packaged in a hard plastic screwdown holder for protection. Both also include a display stand, black and white photograph, story of the player's life and career, and certificate of authenticity. Each card originally retailed $29.99. That's a total retail value of $59.98 with this deal! 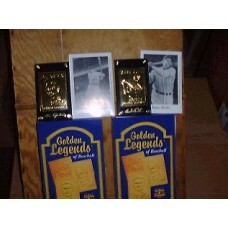 Do you have any questions about Babe Ruth and Lou Gehrig 22Kt Gold Legends Baseball Cards?